Jos Delbeke, European Commission, explains that cost-effectiveness is a new criteria for EU climate change policy. At this event, panelists discussed recent developments in European Commission climate policy and the results of the third Greenhouse Gas Emissions Trading Simulation (GETS3). 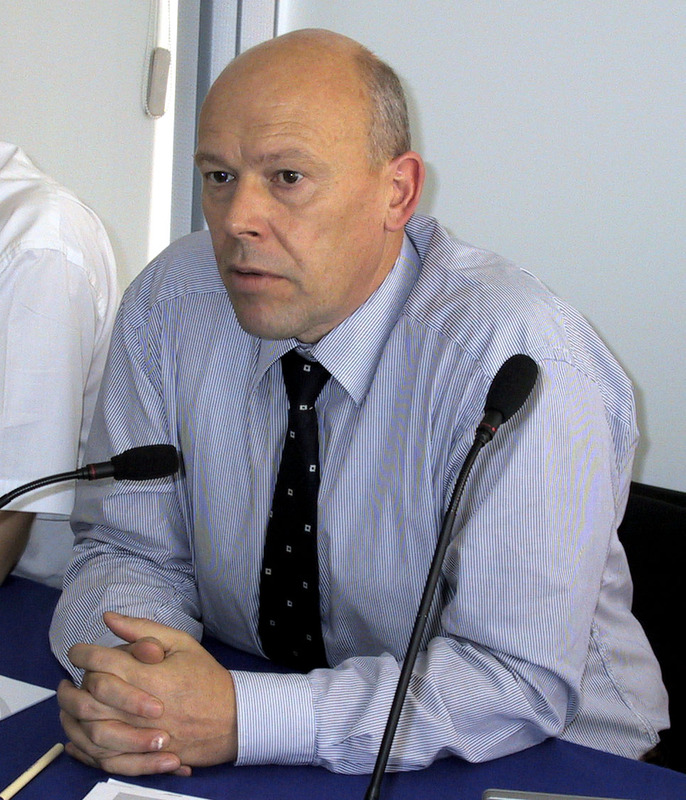 Jos Delbeke, European Commission, noted that although the EU has already reduced its greenhouse gas emissions to four percent below 1990 levels, the next four percent will be more difficult to achieve. He said that new policies and measures will need to be introduced if the EU is to meet its Kyoto Protocol emissions target. 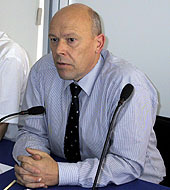 Delbeke highlighted possible policies and measures for cost-effectively reducing emissions, including: an EU-wide emissions trading scheme; development of renewable energy sources; improved energy performance of buildings; energy efficiency standards; energy demand management; combined heat and power generation; and a modal shift in transportation infrastructure. Delbeke reported that European heads of State have recently developed a proposal for an EU Directive to establish an emissions trading scheme. He noted that such a scheme will involve company trading rather than Party trading, and will be compatible with the Kyoto Protocol emissions trading system. The preliminary phase will take place in 2005-2007 in order to gain experience prior to the first Kyoto Protocol commitment period. Jean-Yves Caneill, Electricité de France, says that GETS3 clearly demonstrates the benefits of emissions trading. William Kyte, Powergen, explained that the emissions trading simulation model, GETS3, aims to supplement the wealth of experience gained from the two previous emissions trading simulations, GETS1 and GETS2. He highlighted some of the key issues addressed by GETS3, including: who would be eligible to participate in trading; which greenhouse gases would be included; whether allocation would be done by auctioning or grandfathering; and whether governments would be able to interfere in the emissions trading market. Michael Cupit, Environmental Resources Management, explained that GETS3 covers 20 European countries -- the EU-15 plus Norway, Hungary, Switzerland, the Czech Republic, and Poland -- and ten sectors, including the electricity, iron and steel, pulp and paper, and chemical industries. He described the three base scenarios used in the simulation: "perfect trading," which entails few market limitations; "latest guess," an assessment of the most likely scheme design; and "no trading." Jean-Yves Caneill, Electricité de France, described some of GETS3's key findings. 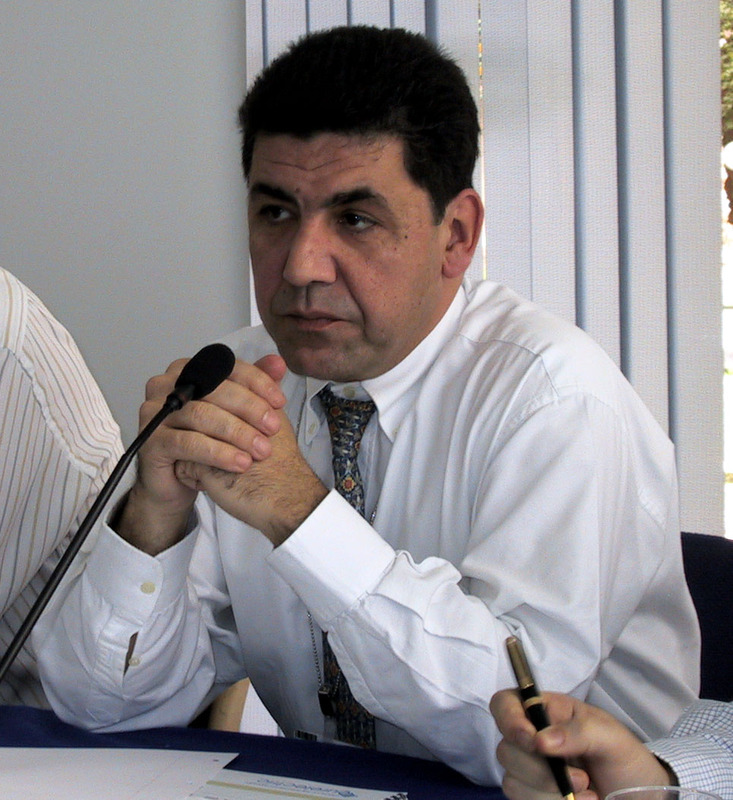 He highlighted that: constraining trading system participation and flexibility has a significant impact on cost; a flexible start to trading, together with early knowledge of requirements and rewards for early action, reduces overall compliance costs; auctioning can have a significant distributional effect, depending on how revenues are used; and the method of setting caps has a significant impact on overall costs. 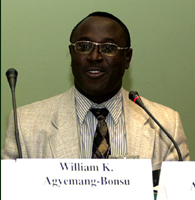 William Agyemang-Bonsu, Ghana, underscores the importance of identifying and involving stakeholders from government, the private sector and NGOs in technology needs assessments..
Li Liyan, China, introduced China's preliminary work on technology needs assessments. She explained that the assessment process included: establishing an interagency working team; developing assessment criteria; convening consultation and scoping meetings; and determining technology priority needs. 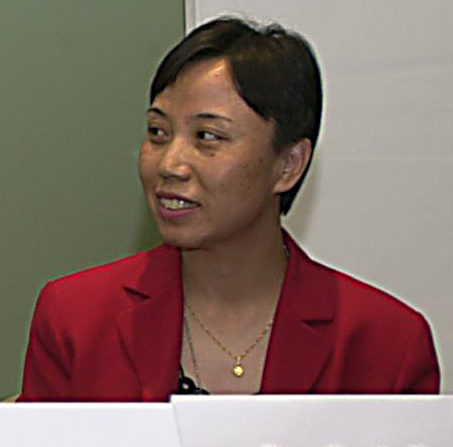 She noted that successful technology needs assessments require technical and financial support, effective information exchange between technology providers and recipients, and a "learning-by-doing" approach. 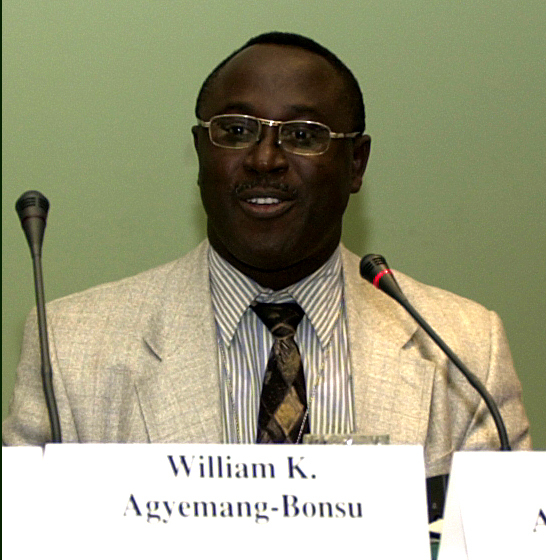 William Agyemang-Bonsu, Ghana, reviewed Ghana's technology needs and initial experiences with technology needs assessments. He said technology needs assessments must be country-driven, employ a consultative process, and be guided by effective initial background papers and concept notes. He highlighted remaining challenges, including the integration of technology transfer activities into national development programmes, and access to finance. Alexander Grobman, Peru, explained that the Peruvian technology assessment system involves the identification of needed technologies, an implementation feasibility study, and a quantitative assessment. He identified critical success factors, such as removing bottlenecks from technology transfer processes, identifying key players in the private sector, and providing them with incentives for involvement. Li Liyan, China, says that shortage in expertise and lack of information are two of the barriers to successful technology needs assessments..
Bo Lim, UNDP, presented the findings of a UNDP survey on country-specific technology transfer needs assessments. The survey identified common themes, including that: objectives for and approaches to technology transfer vary widely; lack of guidance represents a major challenge; and the inclusion of climate change into national planning remains difficult. She underscored the need for technology transfer assessments to be flexible, address national priorities, and be country-driven. Ron Benioff, Climate Technology Initiative (CTI), outlined CTI's major activities in technology needs assessment for developing countries and economies in transition. These include the development of needs assessment methodologies; technical assistance; assistance in the development of technology implementation plans; and dissemination of technology information. He noted that technical assistance may include the discussion of methods and approaches, a CTI expert site visit, and the review of work plans. 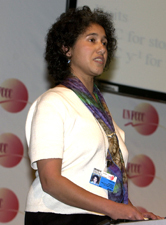 At this event, members of the IPCC presented key findings from its Synthesis Report, which was adopted by the IPCC Plenary in September 2001. Habiba Gitay, IPCC, underscores that increased floods due to climate change will potentially displace tens of millions of people. The Synthesis Report's key findings emphasize that: climate change is not only an environmental concern but also a development concern; the consequences of climate change are both beneficial and adverse, but will become increasingly adverse as climate change escalates; climate change does and will affect primarily the poor; adaptation has the potential to reduce the adverse effects of climate change; and inertia is a key issue which needs to be taken into account by policy makers. The Report also found that: sustained warming of a few degrees Celcius over millennia is projected to lead to sea level rise due to the loss of polar ice; stabilization of atmospheric concentrations of carbon dioxide (CO2) will require the reduction of global emissions to a fraction of current emissions; and even after the stabilization of CO2concentrations, sea levels will continue to rise for millennia. The Synthesis Report further notes that there are many opportunities to reduce near-term emissions, but there are also significant barriers to their deployment. Estimates of the cost of emissions reductions vary widely, depending on modeling approaches and assumptions about fuel mix changes, energy technology improvements and baselines. The Report underscores the added importance of addressing climate change in light of its impacts on desertification and biodiversity. This event provided an overview of efforts to facilitate the dissemination of information on environmentally sound technology (EST) transfer. Carolin Bothe, GTZ, describes examples of GATE projects, including solar water pasteurization in India. Vadim Kotelnikov, United Nations Asian and Pacific Centre for Transfer of Technology, described self-sustainable EST transfer and networking in the Asian region, and EST Information Systems. In 1994, the Centre established an international network for the transfer of ESTs to small- and medium-sized enterprises in Asia, and now coordinates more than 3,000 EST transfer negotiations annually. Kotelnikov highlighted the socioeconomic benefits of EST transfer, including cost reductions, new markets, risk avoidance, improved work conditions and employee morale, and an enhanced corporate image. Richard Shock, International Energy Agency (IEA), explained that there are nine information centers that operate through the IEA, including the Centre for the Analysis and Dissemination of Demonstrated Energy Technologies (CADDET) on energy efficiency and renewable energy, and the Greenhouse Gas Technology Information Exchange (Greentie). CADDET provides a database of demonstration projects on the internet. Greentie also provides an internet database of suppliers of greenhouse gas mitigation technologies and services, which includes a description of suppliers' missions, target groups, products, expertise, and contact information. Shock noted that the IEA's Energy and Environmental Technologies Information Centres are in the process of establishing a project brokering facility and an online guide to project financing. 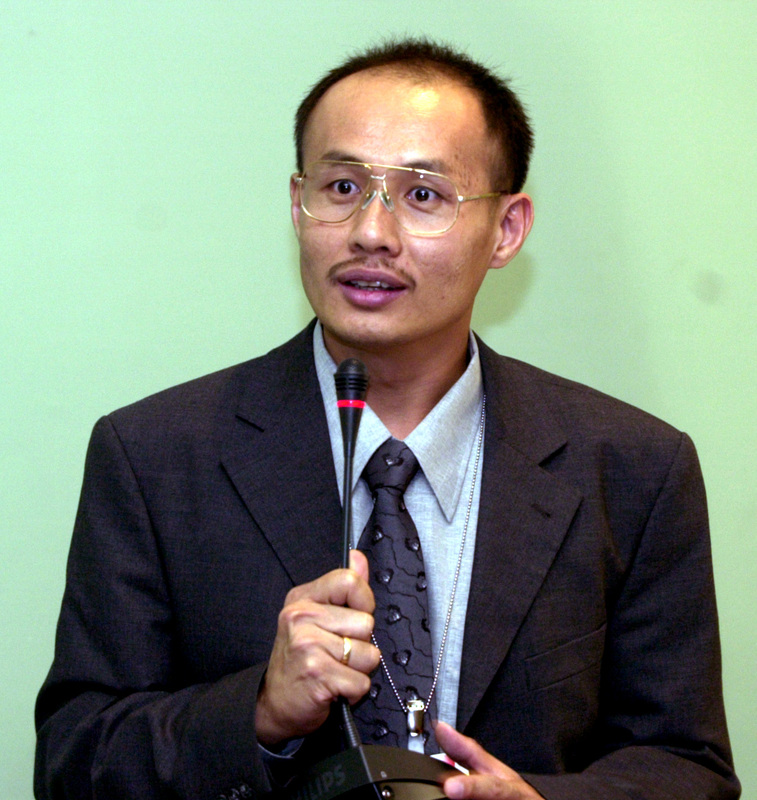 Tien-ake Tiyapongpattana, RISE-AT, explained that RISE-AT works on renewable energy, waste management, construction, textile technology, and sustainable agriculture in the Mekong region. Carolin Bothe, Deutsche Gesellschaft für Technische Zusammenarbeit (GTZ), explained GTZ's experiences with appropriate rural technologies in least developed countries through the German Appropriate Technology Exchange (GATE) programme. The objectives of GATE are to improve the technical knowledge of organizations and individuals involved in poverty alleviation projects in developing countries, and to promote the use of socially sound and climate-friendly technologies. Key services provided by GATE include renewable energy systems, water supply, waste-water treatment, and solid waste disposal. Tien-ake Tiyapongpattana, Regional Information Services Center for South East Asia on Appropriate Technologies (RISE-AT), described the need for appropriate EST technologies in the Mekong region. RISE-AT facilitates research and development and technology transfer at the regional level. 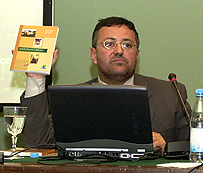 José Fernando Martirena Hernández, Centro de Investigación y Desarrollo de Estructuras y Materiales, described the Center's involvement in technical assistance and technology transfer, disaster prevention, entrepreneur training, and community development in Latin America. The primary aim of the Center is to provide safe walls and roofs for local housing. Hernandez emphasized that: appropriate technologies provide a good basis for the introduction and dissemination of cleaner technologies; energy savings during the manufacture of building materials significantly contribute to greenhouse gas emissions reductions; eco-materials, such as micro-concrete roofing technologies, have been proven in the marketplace; and great potential exists for the dissemination of these technologies throughout Latin America. Tropical deforestation: Can it undo Kyoto's gains? At this event, representatives from Brazilian civil society organizations discussed carbon-sequestration projects and issues related to climate change and deforestation in the Amazon region. 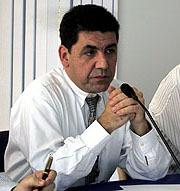 Divaldo Rezende, Ecológica Institute, says the Bananal Island Carbon Sequestration Project has the capacity to absorb more than 25 million tonnes of carbon over 25 years. Divaldo Rezende, Ecológica Institute, described the Bananal Island Carbon Sequestration Project, which aims to reduce global and local impacts from climate change through the implementation of an innovative system of development and environmental conservation on the island. The project is comprised of a social component, which includes capacity building, teacher training and environmental education; a forest management component, which undertakes forest preservation and reforestation; and a research component, which studies carbon flux in the forest. 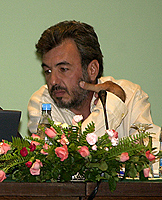 André Rocha Ferretti, Society for Research and Environmental Education (SPVS), described the SPVS' three carbon sequestration projects in the Brazilian Atlantic rainforest. The projects' objectives are to restore degraded forest areas, protect forests, conserve biodiversity, enhance secondary forests, support sustainable development, and produce carbon benefits. The projects' additionality consists of restoring deforested areas, protecting areas at high risk of deforestation, providing farmers with assistance to implement land management compatible with environmental conservation, and monitoring trends with GIS. The projects are estimated to sequester 2.5 million tons of carbon. Márcio Santilli, IPAM, speculates whether COP-7's work to refine the concepts of reforestation and afforestation will stimulate the creation of new permanent forests or create incentives for the development of large-scale monoculture plantations. Johnson Cerda, Coordinating Body of the Indigenous Organizations of the Amazon Basin (COICA), reported that a forum of Amazonian indigenous peoples and local communities was convened in October to address climate change issues. The forum adopted a resolution, which calls for, inter alia: full and effective participation of indigenous peoples and local communities in the climate change negotiation process; creation of a working group on indigenous peoples and traditional local communities in the UNFCCC; capacity building mechanisms for indigenous peoples and local communities in the Kyoto Protocol; and inclusion of native tropical forest conservation and management in the CDM. 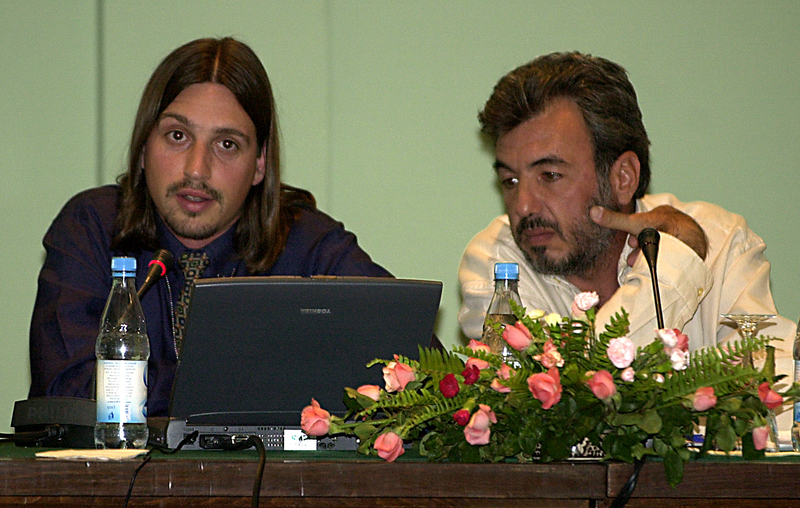 André Rocha Ferretti, SPVS, notes that Brazils Atlantic rainforest is being degraded by buffalo farming, coal production, banana and ginger plantations, and invasion of exotic grasses..
Juan Carlos Rueda, National Council of Rubber Tappers, expressed a pessimistic view of the UNFCCC, stating that any negotiation process without US involvement and without the inclusion of forests will be fruitless. He reiterated the importance of participation of indigenous and local communities in the climate change negotiation process. 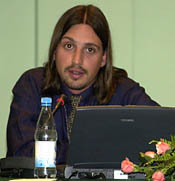 Marcio Sántilli, IPAM, expressed concern that forests have been treated in an inefficient and precarious manner in the Kyoto Protocol. He said that the carbon emissions from recent deforestation in Brazil could compromise up to half of global emissions reductions projected for the first commitment period. He underscored that if the maximum benefits from forests are to be obtained for the global climate, negotiators must not consider forests simply as tree plantations or mere carbon sinks. He supported the inclusion of initiatives that consider reduced deforestation, and forest management and conservation under the CDM. He stressed that emissions from deforestation cannot be effectively compensated by sinks. The Earth Negotiations Bulletin (ENB) on the side is a special publication of the International Institute for Sustainable Development (IISD) in cooperation with the United Nations Framework Convention on Climate Change (UNFCCC) Secretariat. 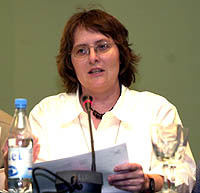 The Editor of ENB on the side is Kira Schmidt <kira@iisd.org>. This issue has been written by Fiona Koza <fiona@iisd.org>, Dagmar Lohan <dagmar@iisd.org>, and Kira Schmidt <kira@iisd.org>. The Digital Editors are Andrei Henry <andrei@iisd.org>, Leila Mead <leila@iisd.org> and Kenneth Tong <ken@iisd.org>. Funding for publication of ENB on the side at COP-7 is provided by the UNFCCC Secretariat. The opinions expressed in ENB on the side are those of the authors and do not necessarily reflect the views of IISD and funders. Excerpts from ENB on the side may be used in non-commercial publications only and only with appropriate academic citation. For permission to use this material in commercial publications, contact the Managing Editor at <kimo@iisd.org>. Electronic versions of these issues of ENB on the side from COP-6 Part II can be found on the Linkages WWW server at http://enb.iisd.org/climate/cop7/enbots/.